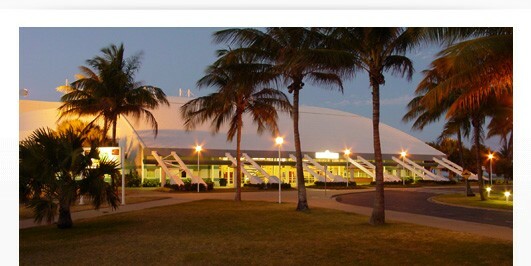 The Townsville Entertainment & Convention Centre has a centrally located Auditorium which, using a curtaining system, can be configured into numerous modes to suit capacities from 500 to 5,200. Whether it be a concert or sporting event, gala dinner, conference or exhibition, the Centre can cater for an endless variety of events. On both sides of the Auditorium there are four breakout rooms in total. The Queensland Foyer curves around the Auditorium at the front of the building and contains an additional breakout room and registration spaces.